Professor Takashi Yoshimura at the Institute of Transformative Bio-Molecules and his co-workers have identified a sensor to detect seasonal changes in fish. Their paper was published online in Nature Communications on July 2, 2013. 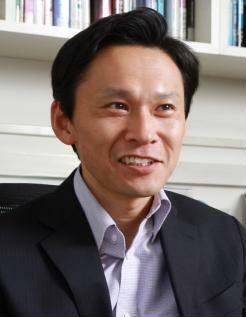 Prof. Yoshimura has previously detected key genes and hormones controlling seasonal reproduction in birds and mammals (Nature, 2003and 2008; PNAS, 2008 and 2010). However, a mechanism that regulates propagation in fish in response to seasonal changes in the environment has yet to be known. Using masu salmon as the biological model, his research group focused on a hormone that transmits seasonal information and exhaustively analyzed its location within the brain. They discovered that the hormone levels fluctuated in the saccus vasculosus (SV), in response to changes in day length. Furthermore, they isolated SV from the fishes and divided them into 2 groups; samples from one group were subjected to short day conditions, and samples from the other were subjected to long day conditions. 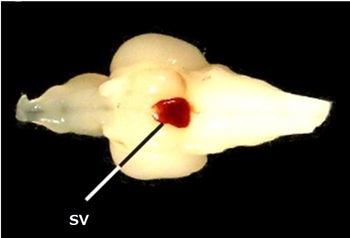 The results revealed that the SV itself has the capacity to respond to photoperiodic changes. In addition, they observed that salmons without SV do not initiate reproductive activity, even under short day conditions. It was discovered that the SV works as a seasonal sensor and controls the reproductive activity of fish. This research has received a great deal of attention for discovering the role played by the SV and the mechanisms of seasonal adaptation in fish. It is widely expected to be applied to the fisheries industry by allowing artificial control over breeding. Professor Takashi Yoshimura has identified a novel gene that regulates photoperiodism in birds and mammalian species and functions to sense seasonal change. He currently serves as a principal investigator at the Institute of Transformative Bio-Molecules and aims to develop molecules to improve animal reproduction. "Temperature changes also affect the seasonality in some species; therefore, I would like to understand how animals sense changes in temperature to adapt to seasonal changes in the environment." "Through my research, I am constantly amazed at the survival strategies of living creatures. Why not join us and pursue the study of animal life?"